Global Equipment Network, Inc. offers the Delegate Microphone System for meetings and conference where each delegate requires a microphone. 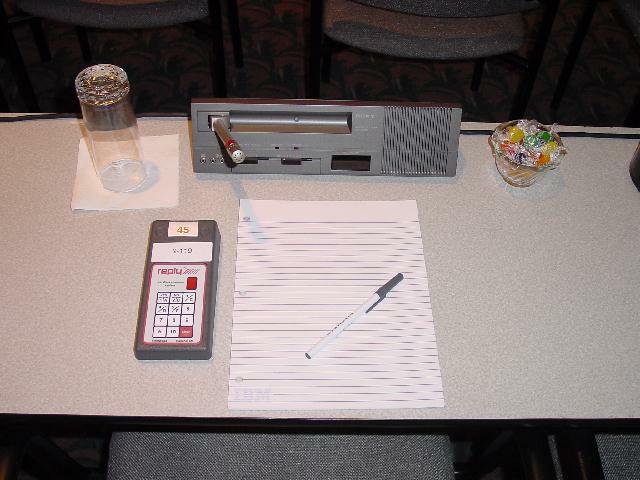 The system is ideal for meetings requiring precise audio recording (for transcription) or where a large conference room prohibits all participants from being heard. The Delegate Microphone System provides a Delegate Unit (Microphone) for each participant. The system is 'push to talk' which allows for accurate audio reproduction while eliminating open mics, a 'hot' room and background noise. Being a 'push to talk' system eliminates the need for a large mixing console and the need for a technician to 'ride gain' to turn mics on and off. The system utilizes a bus line which allows multiple microphones to be daisy chained eliminating the myriad of microphone cables associated with a typical desk mic setup. 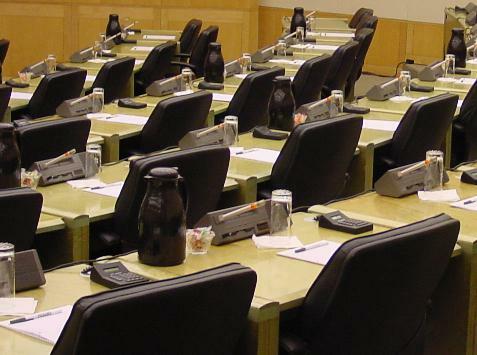 By allowing each participant to have a microphone at their seat stimulates a more interactive event due to the delegate not having to wait for a roving microphone. Suited for larger venues, a lighted mic tip indicates who is speaking. The units also includes a headphone out jack for Assistive Listening and a tape record jack for a participant to make a recording of the proceedings.